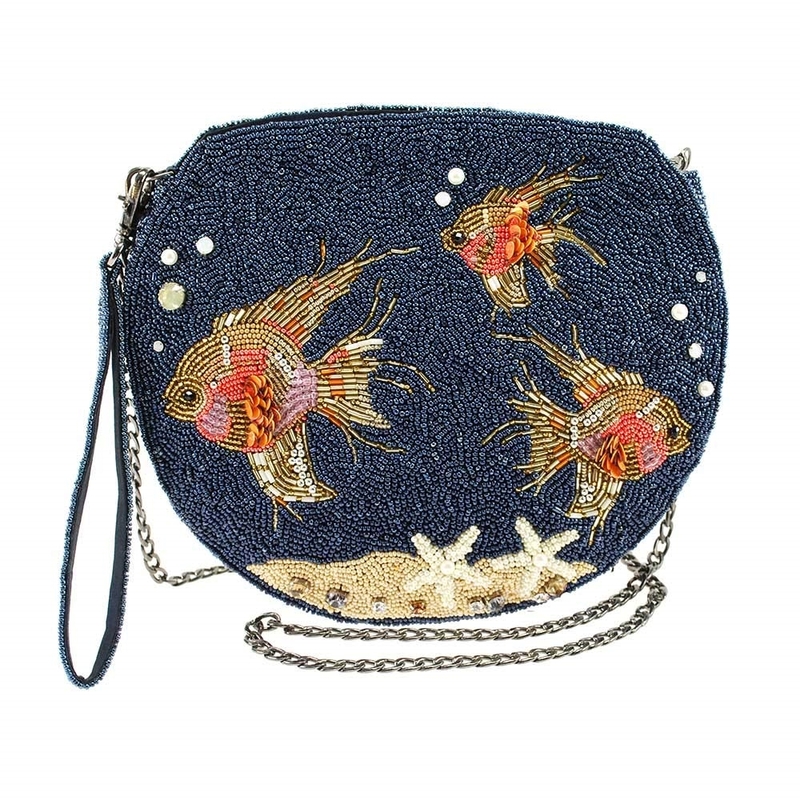 The No Filter novelty bag by Mary Francis adds a touch of whimsy with the beaded embellished goldfish and playful & functional fish bowl shape. Versatile 3 way carry options as a crossbody, wristlet or clutch will always allow you to take on the go. 3 way convertible bag with all over hand beading. Front features a goldfish bowl motif. Back exterior slip pocket. 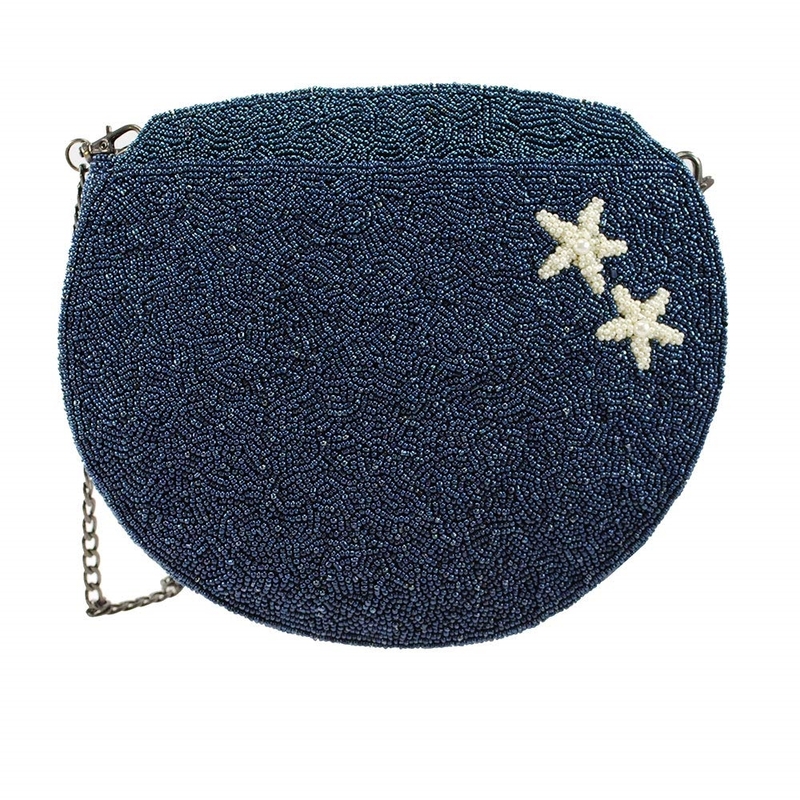 Starfish beaded embellishment. 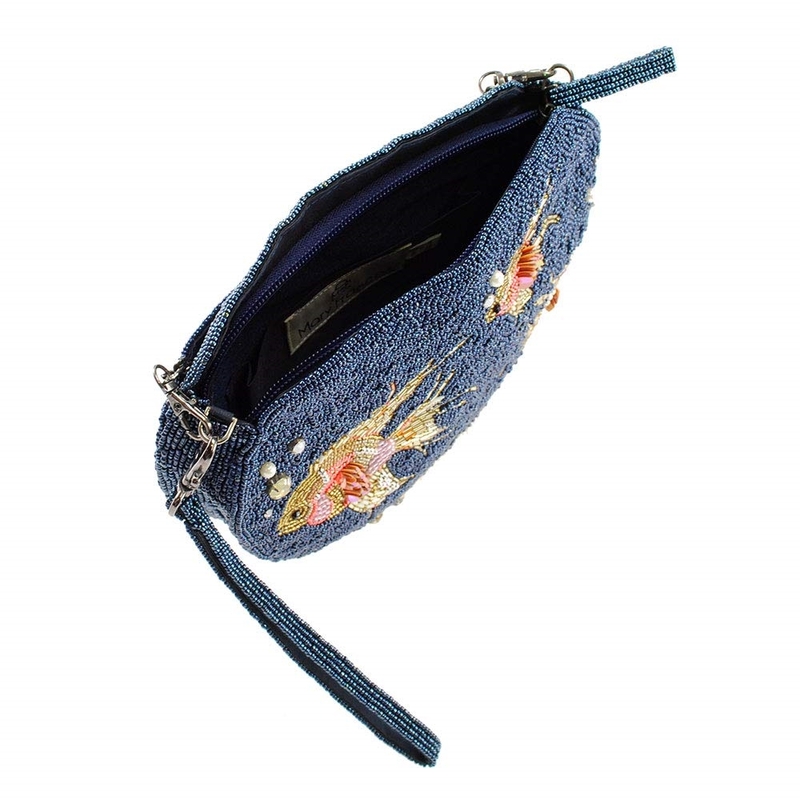 Removable wristlet strap. Top zip closure. Lined with interior slip pocket.